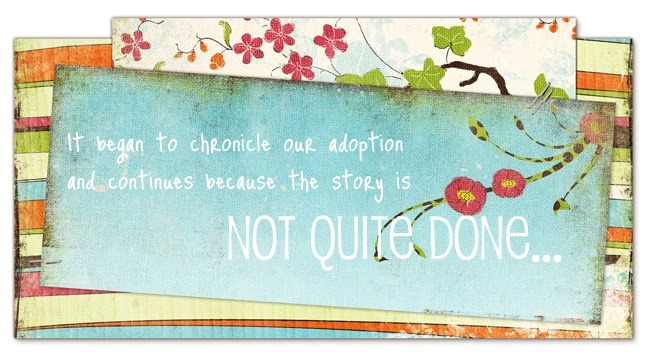 I get carried away when I talk about adoption and orphans. The rushing river of emotion floods over my lips. Often, I am met with blank stares. My flood becomes a babbling brook until it finally trickles to an end. Embarrassing. Sad. My sister gets me now. She has those moments. The does-anyone-care-that-I-just-birthed-my-burden feeling. She has a burning passion to help bring an end to human trafficking. It has been a long, but exciting, path. What began as a conversation in my Mom's kitchen over Christmas years ago has grown into a support organization for a safe house and task force training classes. I'm proud of seeing her grow into her faith. She has followed God's direction every step of the way. When you do that, you get a glimpse of God working in a unique way. I wrote this story for Danica to post on her Gofundme page to begin their first fundraising campaign. The story is almost too intricate and laced with God's leading to portray correctly. Danica needs a novel written! Regardless, it's a tale of four ladies that were on different paths searching for God's will and a way to serve Him. Four women who make an unlikely group, aside from their love for the Lord. 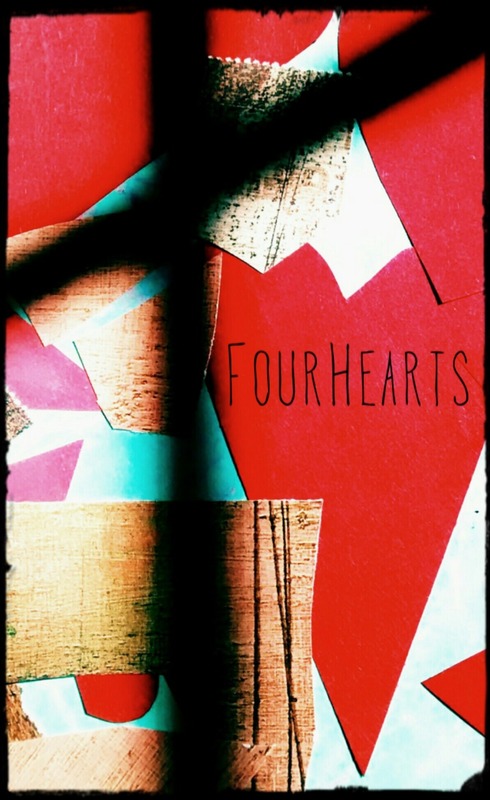 God brought them together to create FourHearts, a ministry organization to support safe houses. I hope to share their burden and perhaps make it a burden you will carry. Please don't meet my verbose barrage with a blank stare! Let the words wash over you and imagine how God might be calling you to make a change in this world. Nothing is too big! Hogar En-Hacore was founded in 2011 by Nidza Barreto in Vega Alta, Puerto Rico. Nidza desired to serve God by enriching abused pregnant girl’s lives. Her vision was to restore the dignity of abused teens by empowering them through spiritual healing, medical attention, education and vocational training. Nidza happened upon a property that was abandoned and pursued information on how she might purchase it as a home for at risk ladies. After investigating and finally contacting the owner, she shared her vision for the property and was met with an amazing gift. The owner was touched by her passion and gave her this amazing home and land. Unfortunately, the property was overrun and in need of renovation. Nidza struggled alone trying to raise the funds to open the home. Working tirelessly, Nidza ensured necessary repairs were made, but continued to meet with many obstacles. Amidst these challenges, she laid the framework for what will be a transition home and functioning bakery. Carmen dreamed for many years of ministering to at risk women and teens. She thought it was a dream that would fade, until she visited family in Puerto Rico. A chance encounter lead to her meeting with Nidza, her cousin, and hearing about Hogar En-Hacore. Thrilled, Carmen returned to Connecticut with a passion to help her cousin in her endeavors. God gave Carmen encouragement, while she endured several hardships. In 2015, she heard of a meeting at a local church for people interested in learning more to combat human trafficking. It was there she met Danica. Danica became aware of the reality of present day slavery and child trafficking through a conversation with her mother in 2012. Over the next several years, God created a passion in her heart to help. After moving to Connecticut, Danica began researching the topic as she felt a pressing burden. She was surprised to learn that the anti-child trafficking organization she heard of years before was just a short drive from her new home. After getting connected with the founder of the organization, Danica was spurred along to start a local task force to combat child trafficking in her community. A list of interested people grew and after several months of preparation, the first task force meeting was held. Meanwhile, Danica’s family received news of an upcoming move to Puerto Rico. A Puerto Rican woman came to the first meeting, her name was Carmen. When Carmen told Danica that her cousin, Nidza, had been working on opening a safe house for young abused girls in Puerto Rico, it was obvious that God had orchestrated the meeting of these women. Danica’s family will be living only 20 minutes away from the safe house, Hogar En-Hacore. Since that first meeting, they have been praying for God to connect them with others and guide the way to opening this house and supporting this ministry. Jules has a love for Jesus and a passion for single mothers, orphans and widows. She was praying about a way to get personally involved and give. She wanted to be blessed by being able to watch her generosity play out in the lives of others. After months of praying for the Lord to open doors, she was connected with Danica. She heard of the human trafficking group and wanted to stay informed. When she heard about Carmen and Hogar En-Hacore, she knew it was the opportunity she had been seeking. The lives of these four women intersected through miraculous circumstances with an obvious purpose. Their desire is to form a support organization, FourHearts, and assist with all aspects of carepoint ministries. Their unique abilities, coupled with their passion for bringing an end to human trafficking and bringing healing for abused teens, creates a strong foundation for this young organization. The long term dream of FourHearts, is to be a support organization to other homes like Hogar En-Hacore. 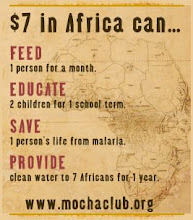 Realizing this dream will require many hands, and volunteer possibilities abound. The passion shouldn’t end with these four women, as many opportunities are available to help Hogar En-Hacore open its doors to hurting children and teenagers.